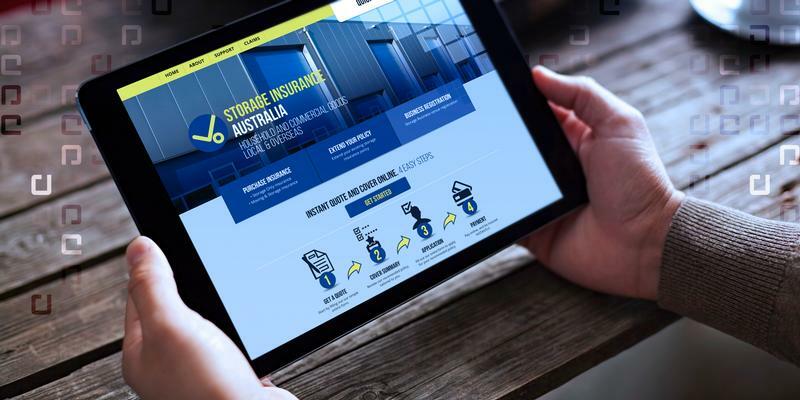 There’s no escaping it – the Insurance Broking world is ripe for disruption. Now more than ever Brokers need to be aware of their web presence, and consider how they can better deliver online services to their customer. So how prepared are you for disruption? This month we take a look at some of the web trends in Broking, and what you can do to lift your online game. If you don’t have a website, stop here. Go and get one. Even customers who are referred by word-of-mouth are probably going to your website first to check out your business, and if there’s nothing there it will likely turn them off. Of course, a bad website is almost as bad as no website at all. If your website is dated, invest in a designer who can really make your brand come to life. Make sure the site is responsive (works on tablets and mobiles) and has good SEO (check out our two part series on this topic for tips). Get a lot of calls from customers asking about policy information or the status of a claim? Offer them an intuitive self-service portal where they can access their policies, documents and even track claims. Many Broking systems offer this out of the box, or they can be built on top for a relatively low cost. Some Brokers are offering customer Apps for this type of self-service. While they can be a useful brand exercise, we advise you to question how much you really need an app vs. a well-designed mobile site. How many of your customers will really be downloading an insurance broker’s app on their phones? Don’t build a Scheme in a product or target market where you don’t already have a foothold – business won’t run in the door just because you offer it online. Building a web presence around a particular product takes effort and time. If you think you have a market, then start building the business case. Schemes don’t have to be a huge investment. 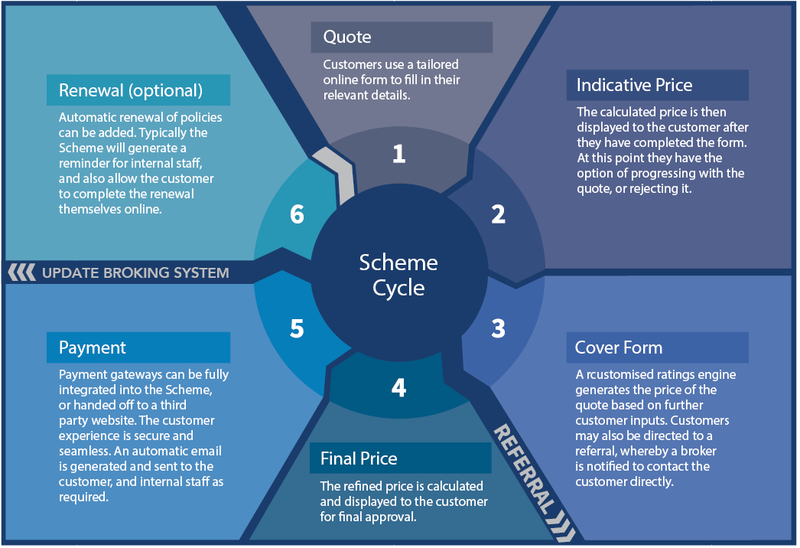 A full Scheme cycle – shown in the diagram below – can be built up over time. Start with an online quoting tool to get customers interacting with your site, then add payment options and integration with your Broking Systems. Next month we’ll take a tour around the bleeding edge of online insurance, where companies are re-defining the entire customer experience.